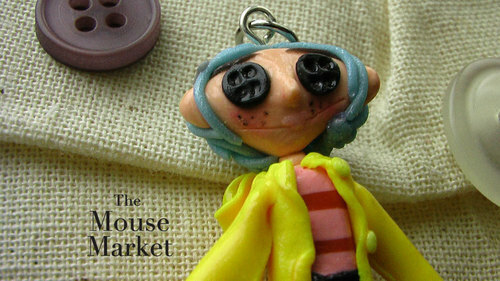 Coraline Mini Me Charm. Coraline Mini-Me Charm, handmade entirely from polymer clay. Visit my Etsy cửa hàng to see thêm pics:. HD Wallpaper and background images in the Coraline club tagged: coraline doll mini me miniature coraline character. This Coraline fan art might contain bó hoa, phần trên áo đàn bà, bó hoa thơm, bouquet, corsage, posy, and nosegay.